Canon EOS 80D gives budding filmmakers even more performance - trendistic.com: ever tried. ever failed. no matter. try again. fail again. fail better. Declining DSLR sales aren’t enough to stop Canon from pumping out updated versions of its DSLR workhorse cameras. Canon’s new prosumer EOS 80D is the successor to the 70D DSLR, a camera that made it easy for amateur filmmakers to record silky-smooth full HD video without needing to know much technical wizardry. 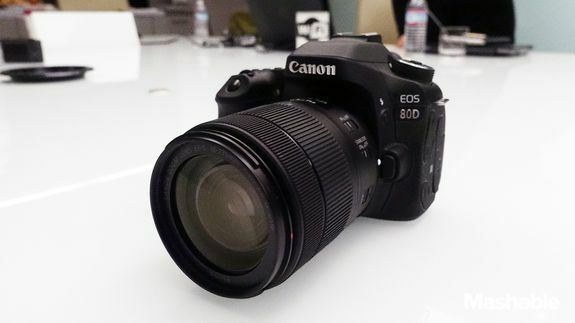 Priced at $1,199 for the body only, the 80D is a predictable upgrade over the 70D. Canon will also sell a bundle with an 18-135mm kit lens (pricing for the kit hasn’t been announced).